The tax cuts, President Donald Trump said, are the most significant reforms in American history, with tremendous tax relief for working families, for small businesses, for big businesses that produce jobs. 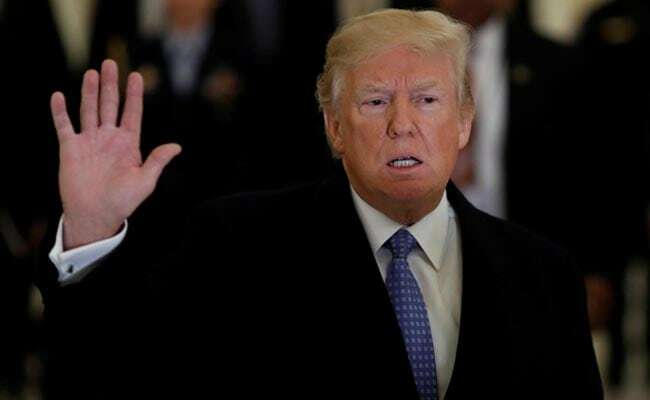 Washington: America is coming back bigger and better and stronger than ever before, President Donald Trump has said as he highlighted the benefits of the recently passed tax reform bill to the country. President Donald Trump visited H&K Equipment, an industrial equipment company in Pittsburgh on Thursday. "I've come to the great city of Pittsburgh to stand with people to show the world that America is back, and that we are coming back bigger and better and stronger than ever before," Trump said in his address to workers of the company. At the centre of America's resurgence are the massive tax cuts, he stressed. The tax cuts, he said, are the most significant reforms in American history, with tremendous tax relief for working families, for small businesses, for big businesses that produce jobs. The sweeping overhaul of the US tax system was signed into law by President Donald Trump just before Christmas. The Tax Cuts and Jobs Act will see corporate tax rates falling from 35 per cent to 21 per cent. Alongside new restrictions on shifting profits abroad, the cut is likely to lead to a major repatriation of US business profits that are at present being sheltered offshore. Individual taxes will also be cut, but more modestly. He also said his administration has created nearly 2.2 million jobs since the election. The unemployment rate is at, now, an 18-year low and the number of Americans applying for unemployment benefits just hit a 45-year low, he said. More than two million American workers have already received a tax-cut bonus from their employers, pay raises, more money for retirement, he said. "And because of our business tax reforms, Apple has just announced that they are bringing USD 350 billion, and putting it into investment into our country," he said.